Want to step your pizza game up? 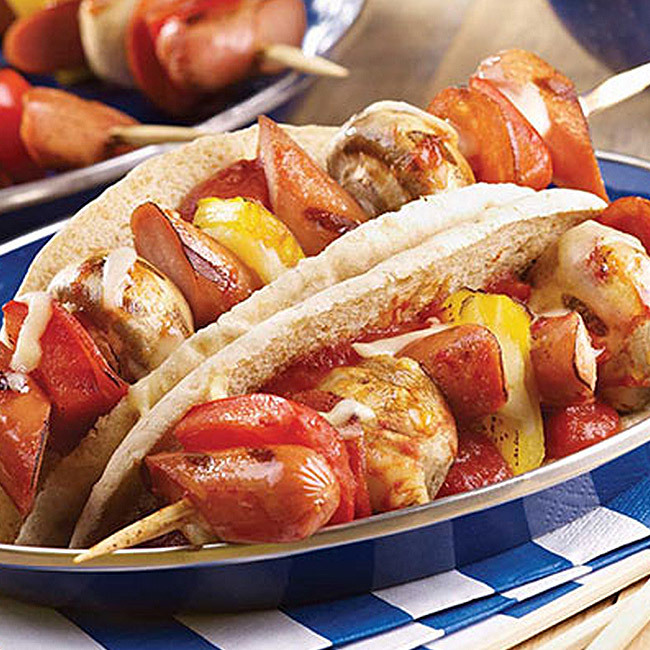 Serve it on a skewer with your favourite chicken hot dogs! Welcome to the Maple Lodge Farms pizza revolution. 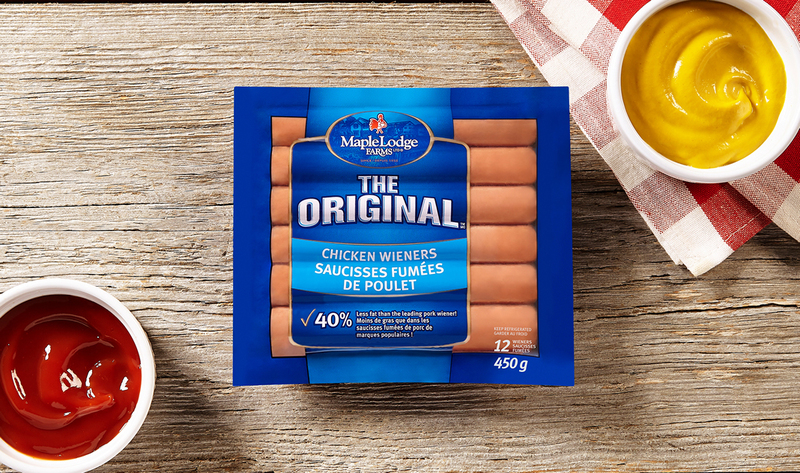 1Cut each Maple Lodge Farms Chicken Wiener on a diagonal, into 4 pieces. 2Onto each skewer alternately thread 2 pieces of wiener, 2 slices pepperoni, 2 pieces sweet pepper and 2 mushrooms. 3Place on grill on medium heat; cook 1 to 2 minutes per side. After cooking, brush each with about 1 tablespoon pizza sauce; heat for 30 seconds. 4Place onto bun; grasp kebab with bun and slide out skewer. Sprinkle each with about 1 tablespoon cheese. Spread additional pizza sauce on bun, if desired.